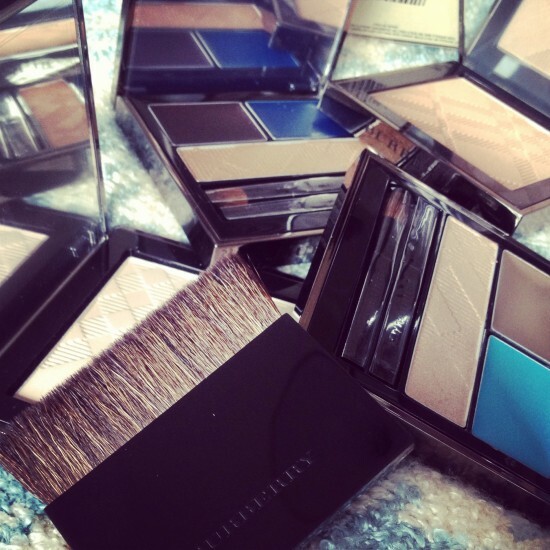 1) At the risk of repeating myself, I have to just say one more time that these palettes and glow powders (above) from Burberry Beauty are so gorgeous. An absolute pleasure to use. They have been making me very, very happy for the past month! You can watch the video that they’re featured in here. The glow powder reminds me a little bit of the Aerin Illuminating bronzer, though I think that the Burberry is slightly more glowy and less bronzey. You can read the Aerin post here. 2) I’m back to reading at my usual voracious pace; this week I’ve polished off And the Mountains Echoed by Khaled Hosseini. I’ll be honest: after A Thousand Splendid Suns (which stuck in my thoughts for months after I’d finished it) this one was something of a disappointment. Beautifully written, but lacking something – it was a little disjointed and I struggled to get through it as I neared the end. I skipped a few pages which never usually happens! The novel follows different characters through the twists and turns of their lives but all of the different story threads lead back to the initial, very sad incident. I won’t spoil it for those who haven’t read it, but I’d be interested to know what others thought of the book if they’d care to leave a comment below? You can find And the Mountains Echoed on Amazon, it’s £9 for the hardback or £8.10 for the Kindle Edition. 3) Mr Bear! 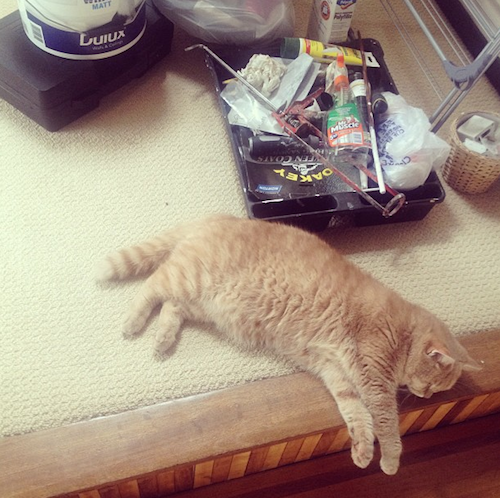 This week he redecorated my beauty room and put up my new blind, then he collapsed with exhaustion and fell asleep at the top of the stairs. Hold on, I’m getting him mixed up with Mr AMR. If you’d like to follow me on Instagram (more cat pictures, basically) then I’m right HERE. **UPDATE: on the cat note, some important news. I always thought that the whole thing about lilies being poisonous to cats was a paranoid thing that people fussed over but I stand corrected – do not let your cat near a lily! Even the pollen getting on their fur is really dangerous! A friend of mine nearly lost her cat this week because it got some lily pollen on its fur, it had to spend 48 hours in cat hospital. So there you go, cat lovers, if you didn’t know this already, do take note: Lily = Evil. Go for roses instead! 4) If I may explain the slightly awkward photograph above, which looks as though I’ve optimistically photoshopped myself onto a press picture of a celebrity… Last week I had the absolute pleasure of meeting Elizabeth Hurley. I interviewed her for a video going up next week (I’ll link to it when it’s live) and she was a truly sharp and on-the-ball woman. Very dedicated to Breast Cancer Awareness, very knowledgeable about the charity she represents and full of interesting and enlightening facts and figures. Witty, well-read and a proper girls’ girl. I liked her a lot. Stay tuned for more on Estée Lauder’s Pink Ribbon and Circle of Strength campaign, I’ll be writing about it next week. In the meantime, if you’d like an extremely brief glimpse of my interview (spot Ree from ReallyRee too) then have a look at the video below. Emailers, click here. Next Post Watch The Face, Be The Smile!